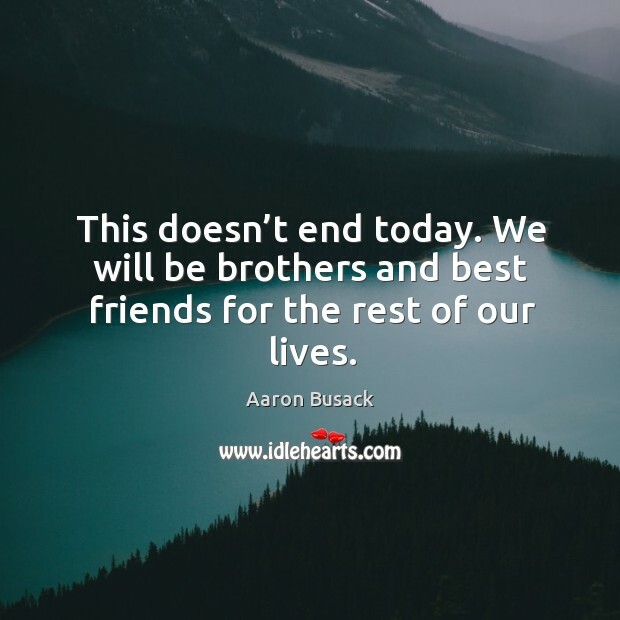 Enjoy the best inspirational, motivational, positive, funny and famous quotes by Aaron Busack. Use words and picture quotations to push forward and inspire you keep going in life! This doesn’t end today. We will be brothers and best friends for the rest of our lives. We have been working hard on our defense all week. We had a few days off for the holidays. That was nice, but we got right back to work. 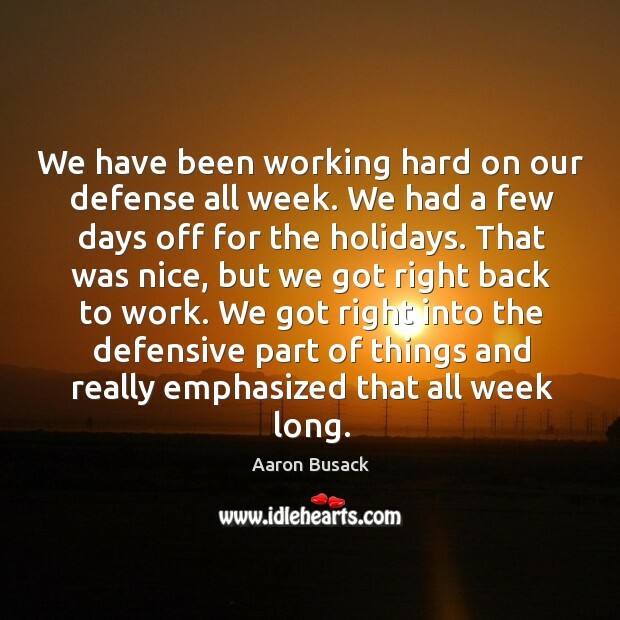 We got right into the defensive part of things and really emphasized that all week long. Everybody played hard and contributed, and when that happens, it makes it a lot of fun. We have really come together and everyone is working hard toward the same goal. It is an incredible time to be playing with these guys. It is coming down to the end and every game is so important. 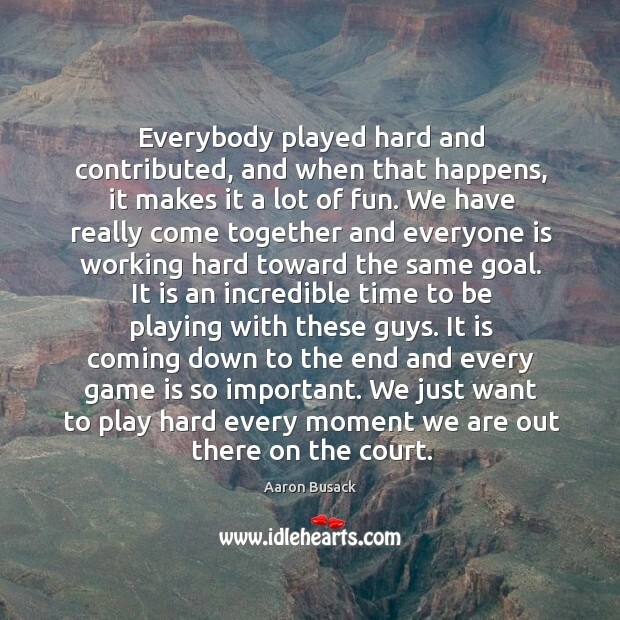 We just want to play hard every moment we are out there on the court.